Dinosaurs are almost universally acknowledged to be just about the coolest animals to ever roam the Earth. Similarly, chocolate is known to be nearly the best dessert food ever invented. Now, you can combine the two greatest things ever to create a 3-D T-Rex made from chocolate. A new Kickstarter project called Chocolate Construction, which has already earned more than triple its funding goal, lets people construct their own T-Rex out of chocolate using a mold for the different parts of the dinosaur's skeleton. The “notched, interlocking,” pieces—among them the spine, arms, legs, and ribs—are formed by pouring melted chocolate into the silicon mold (which is, of course, entirely non-toxic). The pieces are numbered so that once they have hardened, all you have to do is snap the matching pieces together to make your six-inch tall chocolate T-Rex. 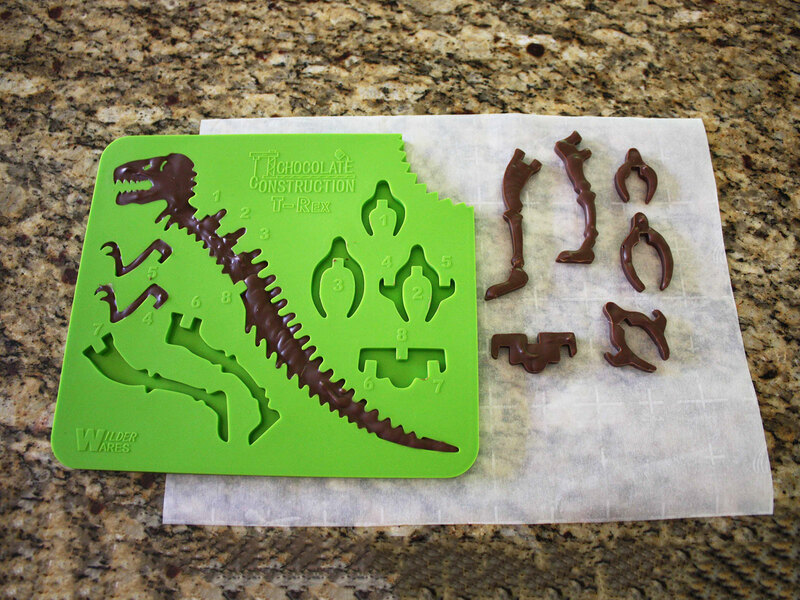 Once the melted chocolate is poured into the mold (the creators recommend making just a few pieces at a time, to prevent the chocolate pieces from breaking apart as you pop them out of the mold), it needs at least five minutes to cool down before you can—in their words—excavate the dinosaur parts and begin building. 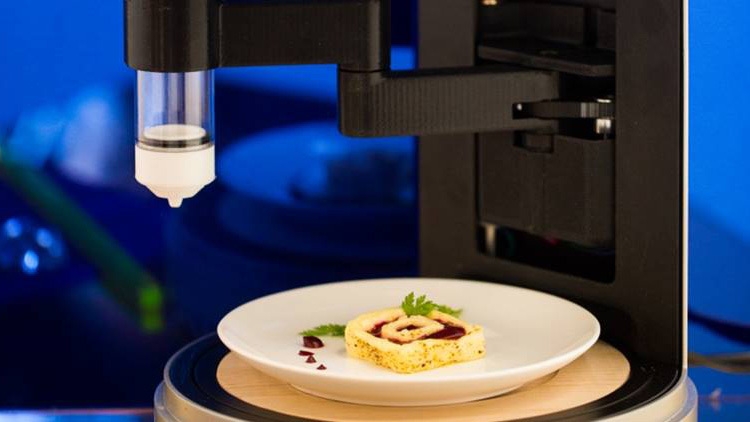 Once the first one has been put together, you'll probably want to build a whole herd of edible dinosaurs, a perfect activity for amateur archeologists or budding pastry chefs. The process sounds simple enough, but deciding whether or not to eat your handy work after might be harder. The mold is already available for pre-order on Kickstarter for $20. 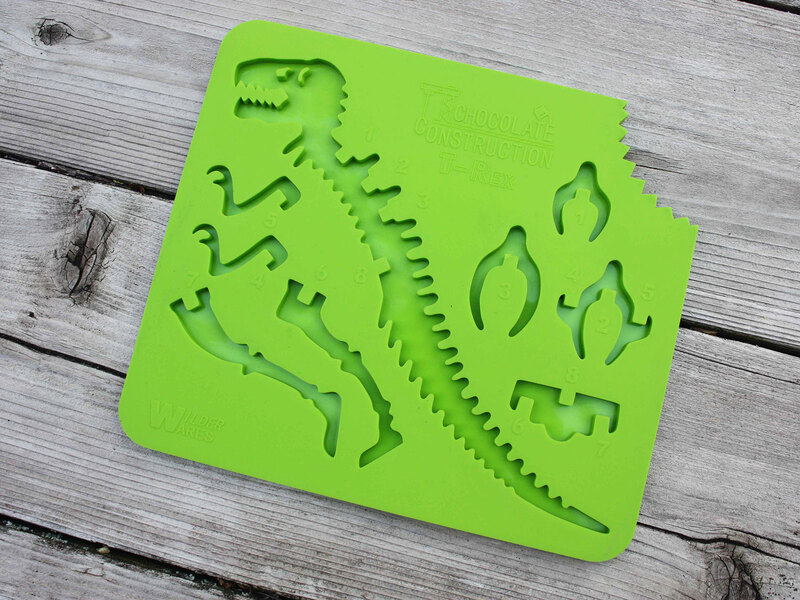 If you’re planning a kid’s birthday party, or you have a lot of little kids who love either chocolate or dinosaurs in your life (and I’m guessing most of them do), you can get ten of the molds for $100. Right now the mold comes in neon green, but two new colors are soon to be added to the line-up. Chocolate Construction will officially start production of the molds on September 7.